Asymptote team members and readers share their favorite pieces of writing about the game. We are well into the World Cup, which means endless amounts of football (or soccer, depending on your location) for the serious fans and a chance to dabble in that world for those less-serious fans of the sport. 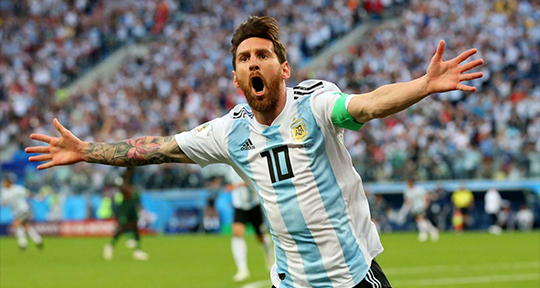 The group stage is coming to a close and there have been more than a few surprises, including Iceland’s humbling of Messi and Argentina, Poland going down against the tenacious Senegalese team—and Germany? Really? The World Cup, an event that very much goes beyond the ninety minutes of twenty-two players and a ball, generates an endless amount of controversy, discussion, national pride, rivalry, and politics from all sorts of people, including our favorite writers. With that in mind, today we bring you a special treat as Asymptote team members and readers share their favorite pieces of writing about the game. Already, the 2018 World Cup has delivered its quota of surreal moments. Some have been joyfully surreal—the director of Iceland’s 2012 Eurovision video leaping to keep out a penalty from one of the greatest players of all-time; Iran’s failed attempt at a somersault throw-in during the final seconds of a crucial game against Spain—but others have had a more sinister edge. Among the defining images from the opening match was the handshake between Vladimir Putin and Mohammed bin Salman, two star players for the Axis of too-wealthy-to-be-evil.